In a letter addressed to President Pranab Mukherjee, former Supreme Court Judge Markandey Katju has demanded promulgation of an Ordinance amending the Prevention of Cruelty to Animals Act, and thereby permitting bull taming sport Jallikattu, albeit with safeguards prohibiting cruelty to the bulls. “There has to be a balance in such matters. An animal cannot be placed on the same footing as a human being. For instance, in fishing the fish is taken out of the water, and it dies by asphyxiation as it cannot breathe in air. Is this not cruelty to the fish? And so should fishing and eating fish be prohibited? A bull is castrated to make it a bullock. Should this be forbidden? Should halal meat be banned?” the letter asks. 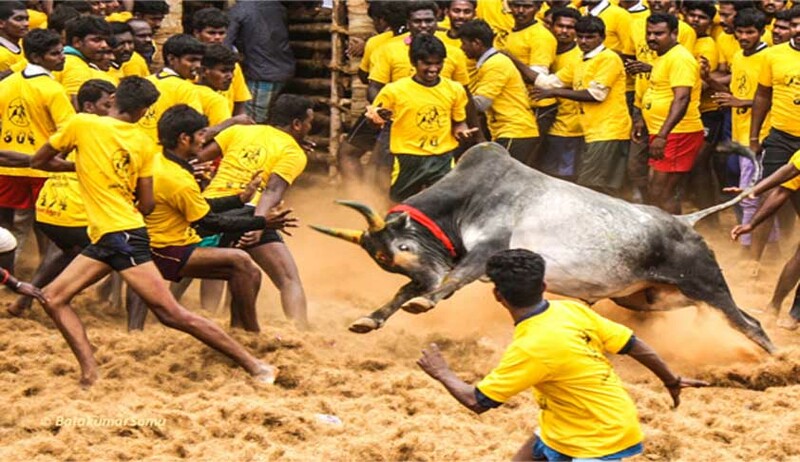 Similar requests were recently made by AIADMK leader M. Thambidurai and Tamil Nadu Chief Minister O. Panneerselvam, contending that the sport represented the sentiment of the Tamil people, and that the festival must be conducted this year at all costs. “Given that Pongal festival, which holds great importance to the people of Tamil Nadu, is less than a week away and Jallikattu is an integral part of the Pongal festivities, considering the urgency of the issue, Government of India should consider promulgating an ordinance removing the legal impediments, enabling the conduct of Jallikattu during Pongal, 2017,” the CM had said in the letter. A Review Petition filed by the Tamil Nadu Government was also turned down by the Apex Court in November last year.